I hope you find great value in these Quotes about Sense from my large collection of inspirational quotes and motivational sayings. when your skills will not extend to wallpapering. at the bottom of most marriages. The more I live, the more I think that humor is the saving sense. Commonsense is the realized sense of proportion. 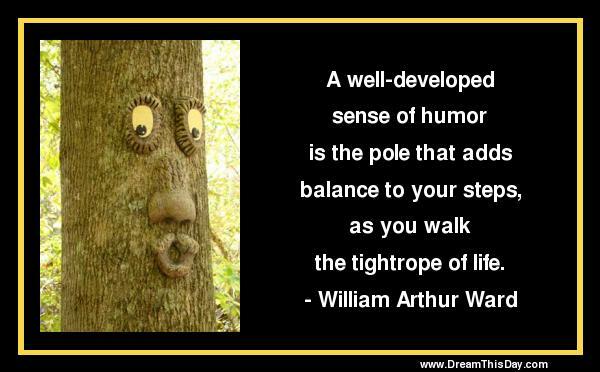 What a strange world this would be if we all had the same sense of humor. One doesn't have a sense of humor. but no sense of humor. Thank you for visiting: Sense Quotes.